Shop online for 119 mrc model trains at discounts up to 40%. 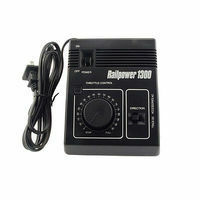 This is the Railpower Model 1370 Train Power Pack for HO and N scale trains. 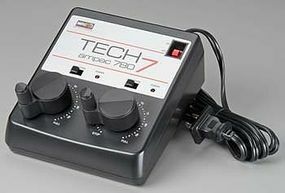 This is the Tech 7 Ampac 780 Dual Action Train Controller from MRC. Suitable for Ages 14 & Older. 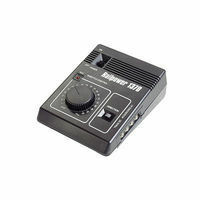 This is an MRC Railpower 1300 Model Train Powerpack for operation of HO and N gauge train sets. It's for ages 12 and over. 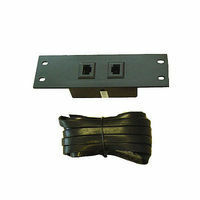 This is a Model Rectifier Corporation Terminal Strip with Jumpers Accessory for Model Railroads. This is the SLO Motion Switch Power Supply from Model Rectifier Corporation. This is the JMRI Interface for Prodigy DCC Systems by MRC. 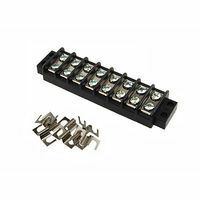 This is the Extension Plate - For Prodigy Advance #500-1406, Prodigy Express 500-1408 or Tech 6 by MRC. This is the HO Scale Sounder Diesel 16-Bit from MRC. This is the Tech 7 Ampac 760 Train Controller from MRC. Suitable for Ages 14 & Older. This is the HO Scale Sound & DCC Control Drop-In Dual-Mode Decoder - Platinum Series - Fits Life-Like PROTO by MRC. This is the HO Scale Universal Sound & Control DCC Decoder - Diesel - Alco 244; Alco 539T; EMD567B; EMD710; EMD645; EMD645E by MRC. This is the Light Genie Transmitter & Receiver System (12 output with connector) from MRC. Suitable for Ages 14 & Older. This is the MRC HO Scale Steam (16-bit) Sound Decoder. 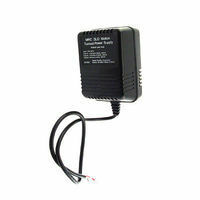 This is the Tech 6 Sound Controller 6.0 Throttle (6 Amps) by MRC. This is actually item mrc1815B. Please note this is the B unit Sound AC EMD645/EMD645E. 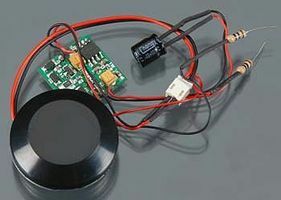 This is the Prodigy Elite Wireless DCC Walkaround (10 amp) from MRC. Works well with G scale or large layouts that need the controlling power.